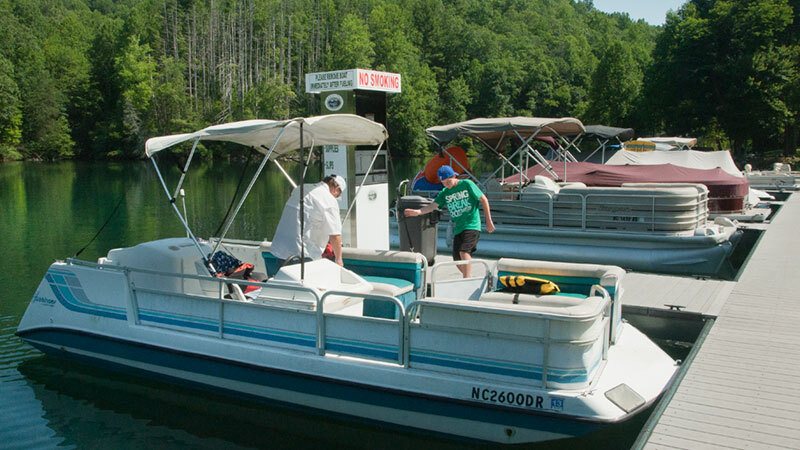 Nantahala Lake is located high above the Nantahala River Gorge at a 3,000-foot elevation - a pristine and serene lake with just 30 miles of shoreline. The lake is regulated and maintained by Duke Power Company. 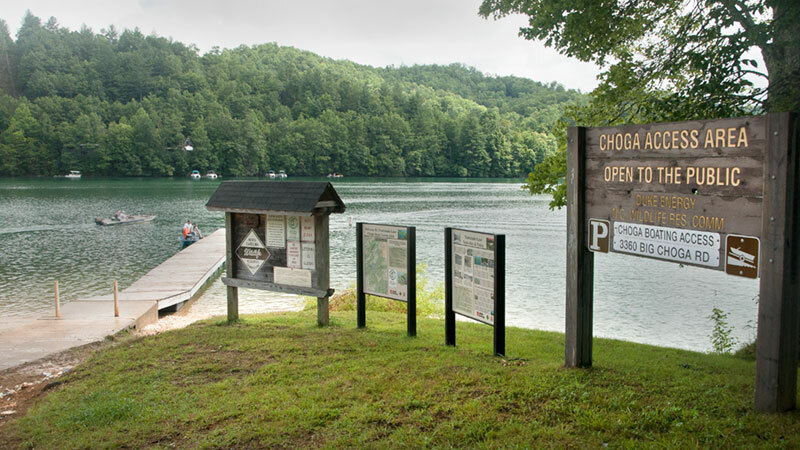 Many anglers enjoy fishing the Nantahala reservoir due to the low number of boaters and the breathtaking scenery. Fish in the lake include Walleye, Crappie, Sunfish, Trout, and Bass. And it's the only lake in the South with a population of freshwater Kokanee Salmon. There are two public boat launching areas — the Rocky Branch ramp is on the east shore just off Wayah Road and the Choga public access area is on the west shore. 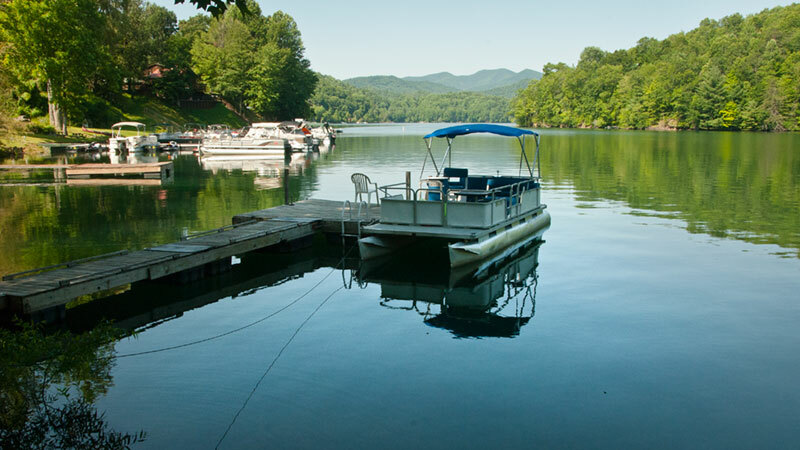 Also on Wayah Road, the Lakes End Marina (828-321-3001), rents pontoons, fishing, and ski boats. 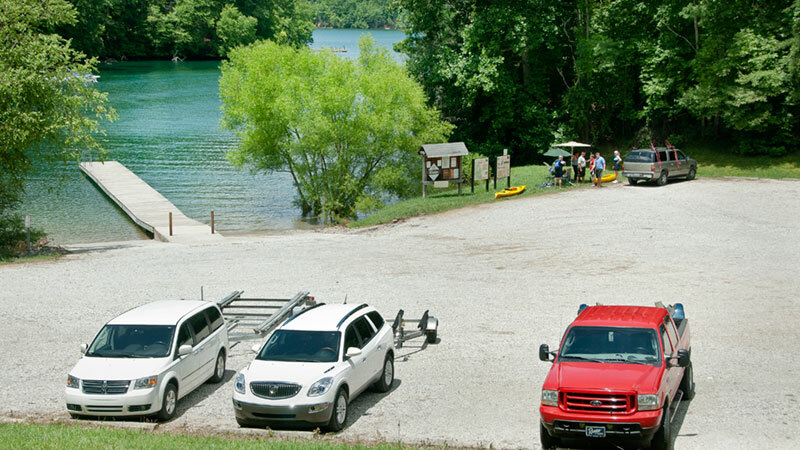 Nantahala Lake Marine & RV (828-321-BOAT) rents kayaks, fishing & pontoon boats; and also provides boat service, shrink wrap storage and repair. You can also store your boat at U-Stor Boat (828-321-2614). See map. 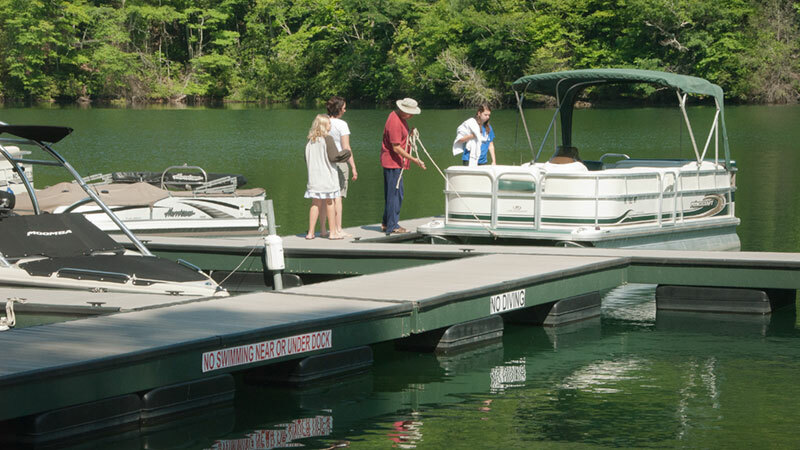 Nantahala's shoreline is dotted with private homes and cabins, yet much of the shoreline is managed by the US Forest Service and the North Carolina Wildlife Resources Commission protecting the lake from commercialization and preserving its beauty. 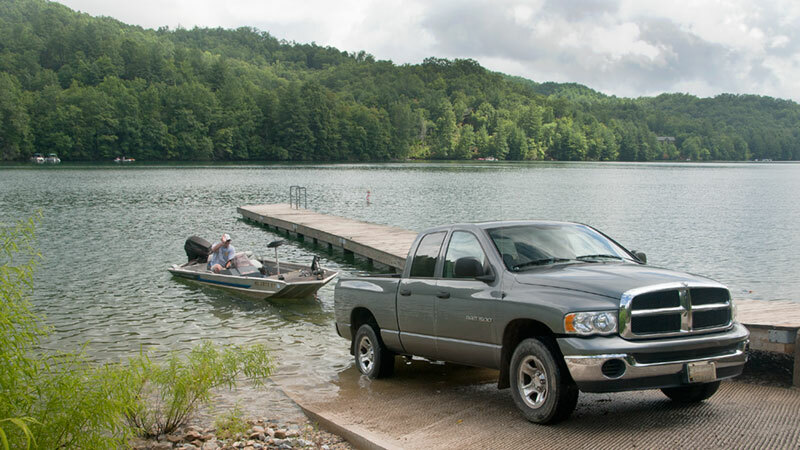 FISHING LICENSES may be purchased online; at Bryant Bait and Tackle, 18154 Wayah Road (828-321-2371); or at a NC Wal-Mart. A photo id is necessary to obtain a license. Kokanee Salmon are the landlocked version of the Pacific Sockeye salmon. Stocked in Nantahala Lake in the early 1960's as forage for the predator population of Walleye, Smallmouth and Largemouth Bass, the salmon have been naturally reproducing ever since. The average Kokanee Salmon across the country is 12" with a few lakes producing larger fish. Nantahala is one of those lakes. The average salmon in Nantahala is 18" with many fish over 20". 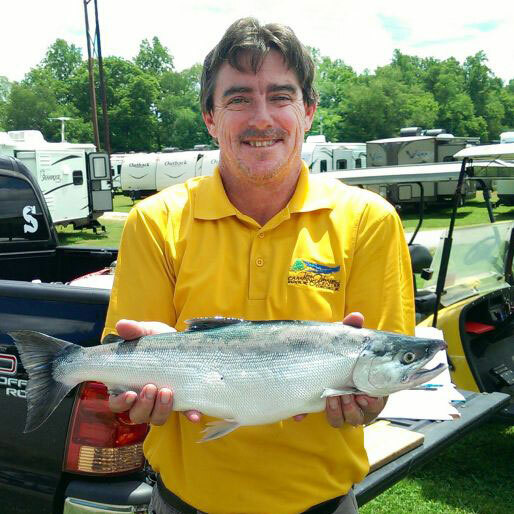 Jeff Smith’s (above) 4-pound, 1-ounce fish, caught from Nantahala Lake on June 11, 2014 is the state record for Kokanee Salmon.